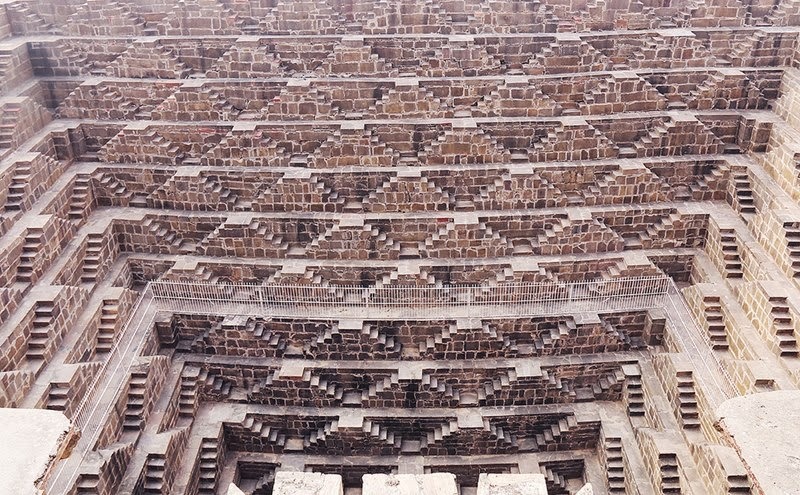 Chand Baori is a stepwell situated in the village of Abhaneri near Jaipur in the Indian state of Rajasthan. 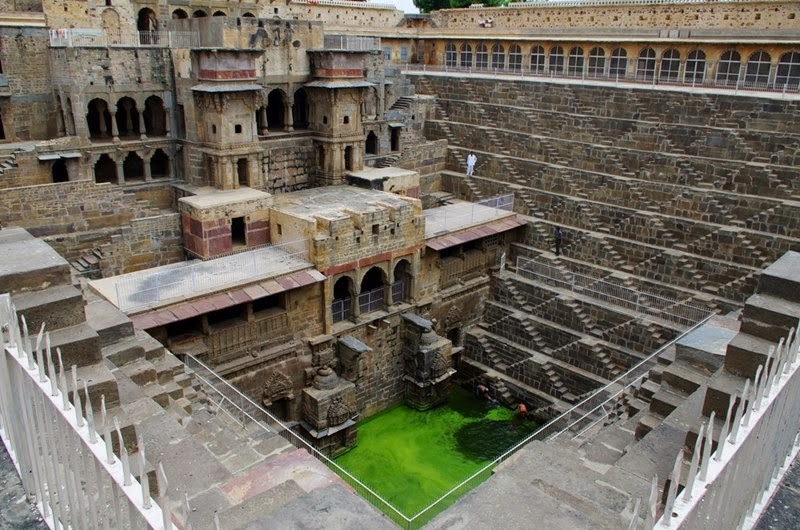 Abhaneri is a village in the Dausa district of Rajasthan state in India. It is situated at a distance of 95 km from Jaipur, on the Jaipur-Agra road. 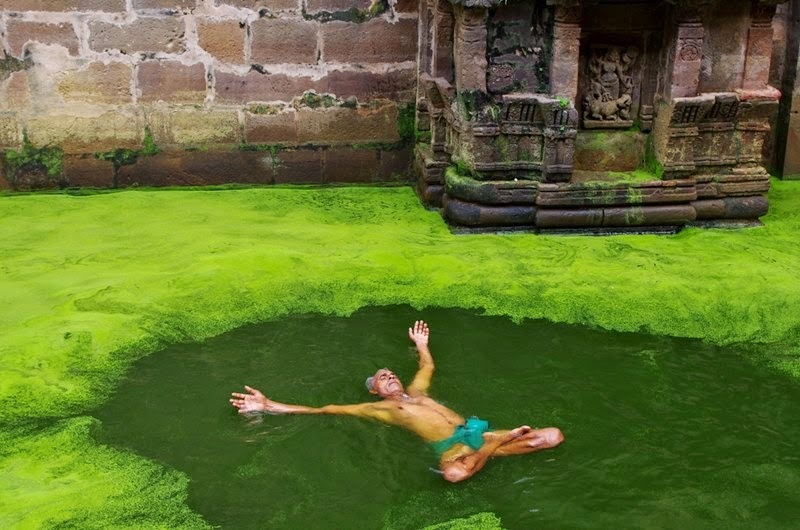 It is located opposite Harshat Mata Temple and was constructed in 800 AD. 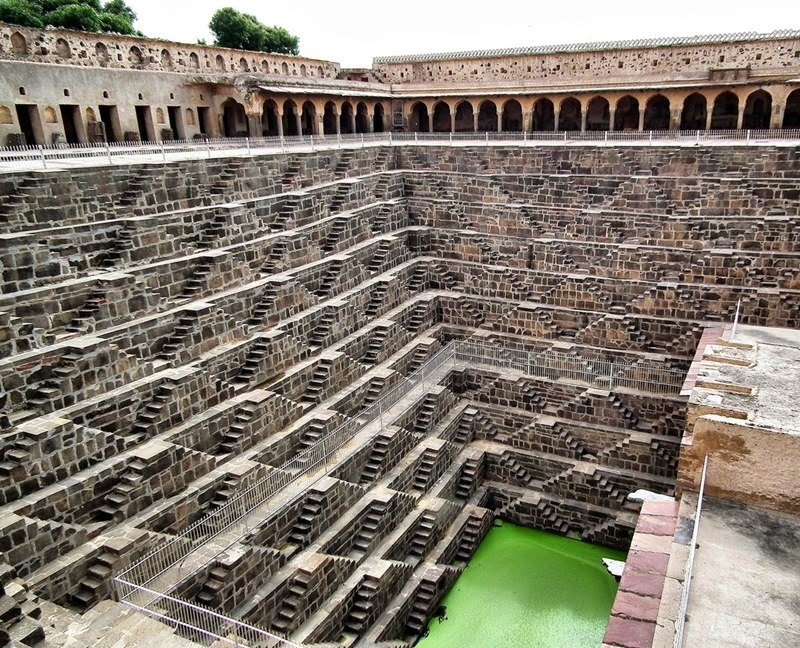 Chand Baori is one of the oldest and is considered to be among the biggest in the world, even most attractive landmarks in Rajasthan. 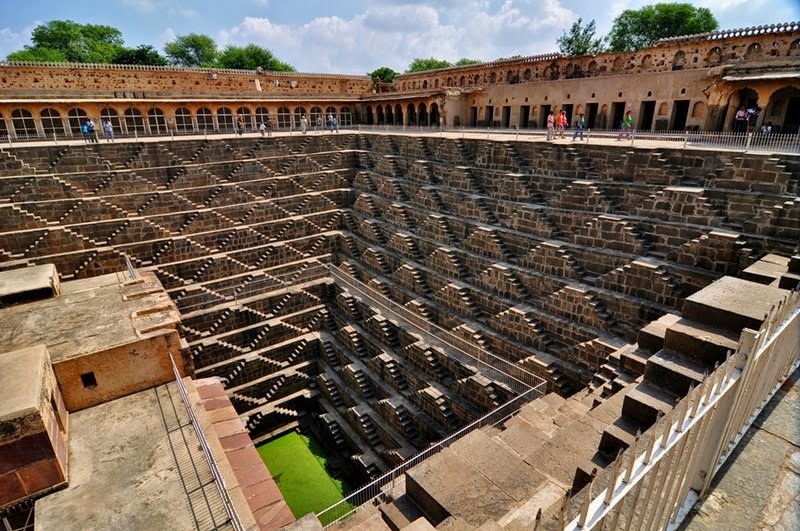 It was built by King Chanda of the Nikumbha Dynasty between 800 and 900 AD and was dedicated to Hashat Mata, Goddess of Joy and Happiness upon completion. 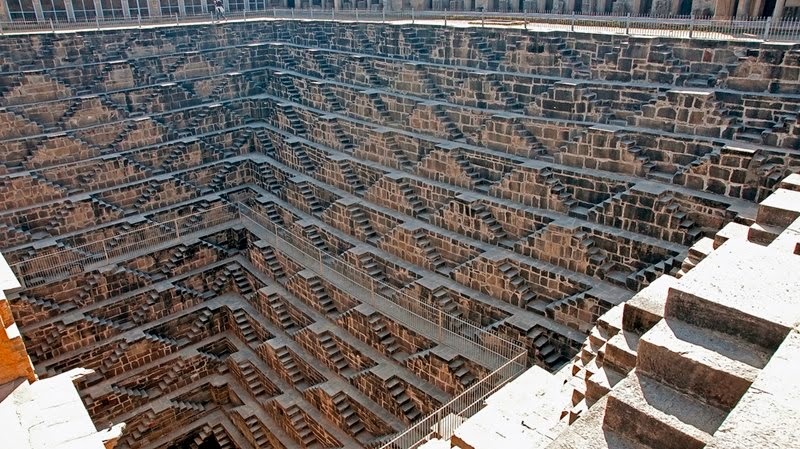 The Chand Baori is built on a square plan with 3,500+ symmetrically laid out steps going down 13 levels (and likely a few more levels below the water table) to a depth of 20 meters. 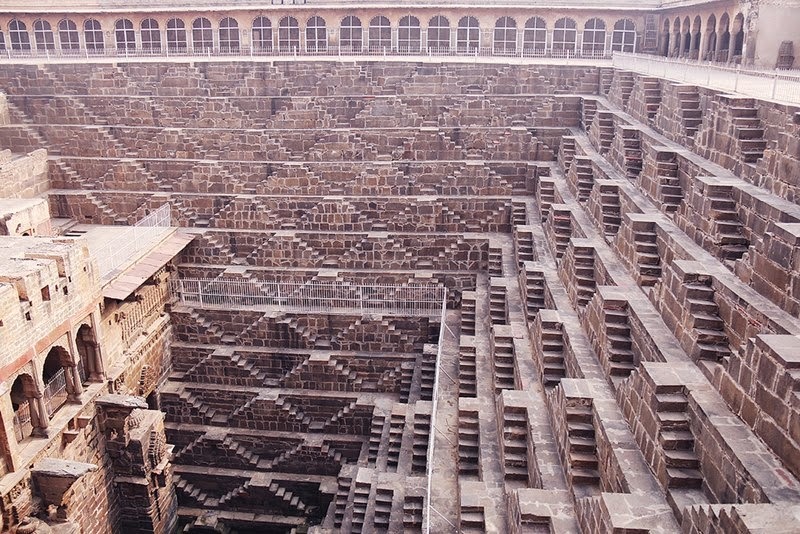 The steps surround the well on three sides while the fourth side has a set of pavilions built one atop another. The side that has the pavilions have niches with beautiful sculptures including religious carvings. There is even a royal residence with rooms for the King and the Queen and a stage for the performing arts. 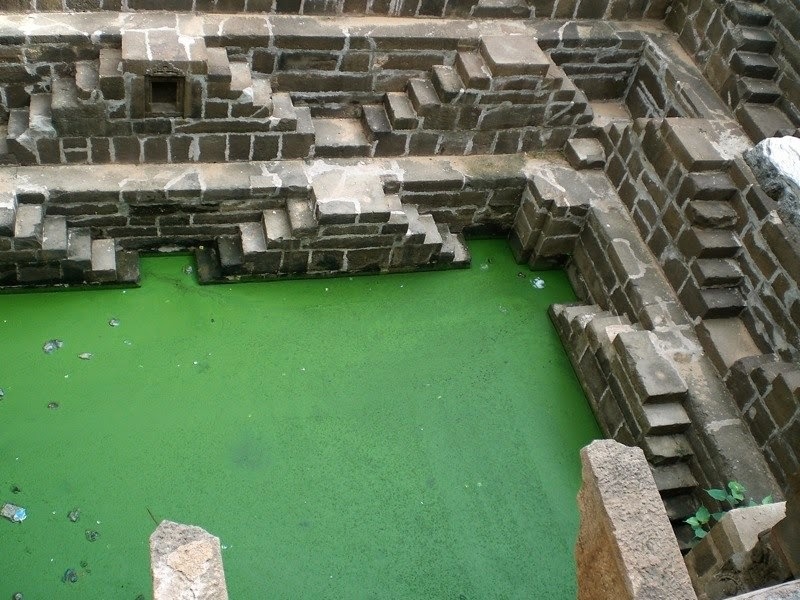 There is a pool of green water at the bottom that can be reached by a descending set of steps. Some have described the overall visual effect is that of an Egytian pyramid turned upside down. 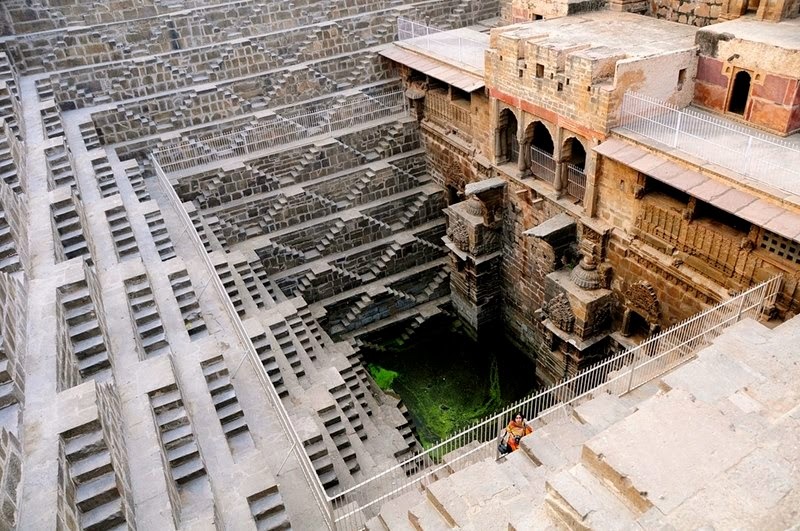 Chand Baori is now a treasure managed by the Archeological Survey of India ("ASI"). 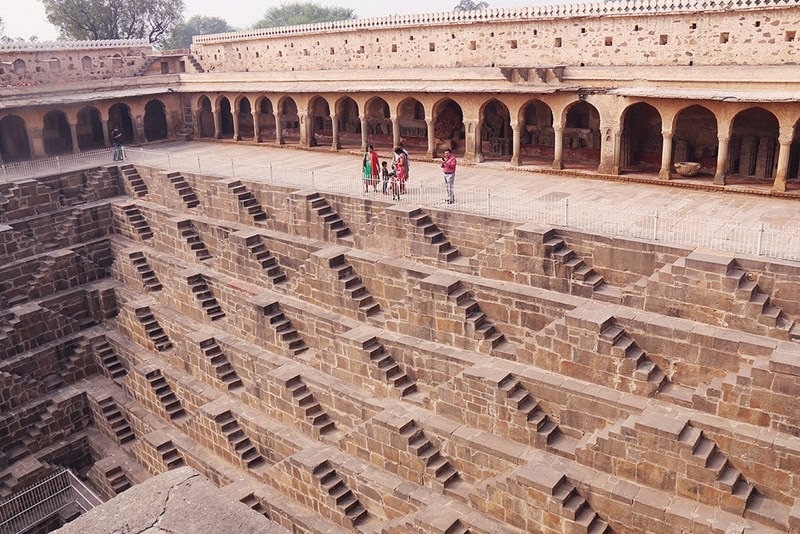 While there is a palace that flanks the baori, it is in a state of disrepair and the star attraction is clearly the baori itself. There is no Entrance Fee to visit this monument.